Put the vegetables, tomato powder/tomato, water, onion, garlic, salt, lemon juice and add dried Italian seasoning in a food processor outfitted with the S blade and process until smooth. If the mixture is too dry, add a little water and process until well mixed. Transfer the vegetable mixture to a large mixing bowl, add the flaxseeds and flax meal and stir well to combine. Using a spatula spread 2 cups of the mixture evenly onto a dehydrator tray lined with a paraflex sheet (use the entire tray from edge to edge). Score the crackers into 36 squares per sheet. Dehydrate at 105 degrees for 12 hours, until they are dry enough to turn over. Flip the crackers onto mesh hydrator screens and continue to hydrate for 24 hours or until they are completely dry and crisp. Stored in a sealed glass jar, Pizza Flax Crackers will keep for 3 months at room temperature and 6 months in the fridge or freezer. 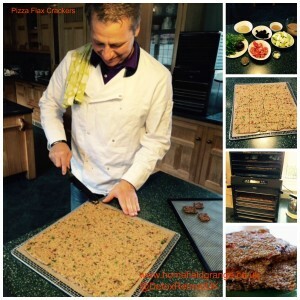 Golden flaxseeds create a lighter cracker. 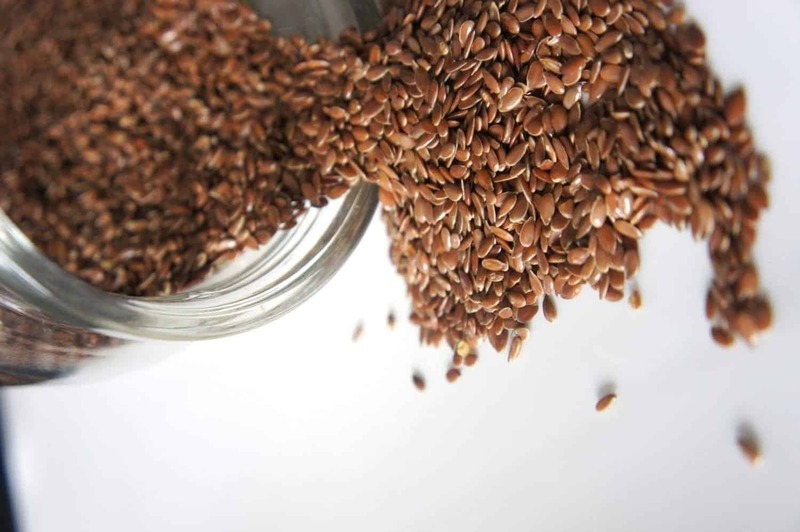 Brown flaxseeds may be used if a darker cracker is preferred or if golden flax is not available.